Roatan-Seller’s-Information -When you consider Selling your property there are several things to think about. With the innovation of the modern real estate company when you list your property for sale does not necessarily mean that the company you list with, themselves will sell your property. What you need is a company that will MARKET your property. With more Agents than every other company on the islands of Roatan and Utila , we can do that. Experience? Very much so. We have several Agents that have more that 15 years living right here in the Bay Islands! Where does the company you are considering rank on web site searches for real estate on search engines like Google and Yahoo? That is where most clients start the purchase process. THIS IS VERY IMPORTANT. People looking for property seldom get past the top five companies in any search engine. Do they communicate? Do you send emails that take days to return a response to you? When they show your property do they communicate with you about that showing? Give input? Will your property be promoted in print? Do they publish and distribute printed materials? How many web sites does the real estate company use to market properties? Do they send out Newsletters to people? Communications is an important consideration. How many people subscribe to their Newsletters? Do they send them at regular intervals? Do they send out hot deals to their client base? Will it be on the MLS (Multiple Listing Service)? What is the difference between a REALTOR® and a real estate agent? 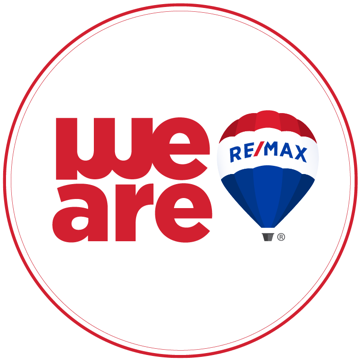 The RE/MAX Brand is the most recognizable brand in the WORLD! They are in more countries than any country in the world and will spend over $100 million dollars in television advertising alone this year. Their agents have a far higher average per agent is sales than all other competitors. When RE/MAX says ‘No one Sells More real Estate than RE/MAX’ that is absolute FACT. All of these should be considerations. Bottom line ? Choose wisely. Make sure they have a ton of experience and knowledge. The longer they are on the island the more history regarding property sales they have. Always a plus. A REALTOR® broker is a member of the National Association of REALTORS® and therefore is bound by its strict Code of Ethics. REALTORS® are committed to treat all parties to a transaction honestly and are expected to maintain a higher level of knowledge about the buying and selling process than practitioners who aren’t NAR members. Identify them by the REALTOR® logo a stylized block R on their business card, membership pin, or other marketing literature. Do your homework! Go to our site and look at comparable properties both on our site and the MLS site listing most of the properties for sale here. Check out similar properties and similar island locations and get a good idea of what is for sale and for how much. This can give you great guidance in setting the price you wish to get and if it can sell at that price. If the condition of your property compares favorably to others currently for sale, and you are offering comparable terms, your price may be adjusted to reflect greater value to prospective purchasers. Because buyers comparison shop before making a decision, they will perceive greater benefits in your property at less money. This alone can cause buyers to compete favorably for your offering. Everyone wants as much as they can get for their investment but there is only one price. The RIGHT ONE. Overpricing property will not generate customers that even wish to look at it. If it is not shown, it can not be sold. Terms are another factor which may be adjusted to attract buyers. If your home is priced fairly at “market value”, consider offering seller financing at a lower than market interest rate on a portion of the sale price. Flexible terms may attract an entirely new group of potential buyers. In that financing on the island for non citizens and non residents is not available if you can offer owner financing you can have an advantage over many who can not offer that option. Condition alone can sometimes prompt fast buying decisions from impressionable purchasers. Consider upgrading your home by making major repairs and cosmetic improvements before selling. A home that sparkles with pride of ownership can trigger emotions resulting in an instant sale. If it is vacant property home site or acreage, make sure it is presentable. If the real estate company can not show it they can not sell it. Remember – here, like where you live, location is a key. If it is in a hot selling or high demand area a premium price may be appropriate. In an area less traveled, with less infrastructure and less demand will generate less customers and less price for an identical property in a great location. Consider listing your property with REMAX Bay Islands. We will make every effort to market it in every way possible. Our site is always one of the top ranked sites in any search engine. Check it out! Do a search. We can not guarantee our site comes up first but we should be in the first 2-3 you come to. Print? Yes we give many of our clients space in every MLS magazine published. List with us and you will be in the hands of many island visitors! In addition to the MLS magazine we publish our own publications that we place in up to 50 locations on the island when in publication. Our main office in Mt. Pleasant sits right next to the most popular bank on the island. We generate TRAFFIC. We seasonally do U.S. target market ads and have good relationships with several brokers in various locations in the U.S.
We send out Newsletters featuring properties and new listings every month PLUS have a “Investor’s Club” which generates notices for new listings and HIT DEALS when they happen, month days or weeks later. We would like to thank you and your entire staff at RE/MAX Bay Islands for the exceptional service we received from you during the whole listing period and sale of our home on Roatan. The only mistake we made was not listing our property with you sooner than we did! You and office were very responsive with fast communication always, all the way through the process. Whenever we had questions or concerns, you and your staff always got back with us right away. I have first hand experience with all other major realtors on the island, and I can personally attest that you and your staff are far more responsive and helpful than any other office on the island we have dealt with-you are in a league by yourselves as far as we are concerned. One of our many Clients…….. 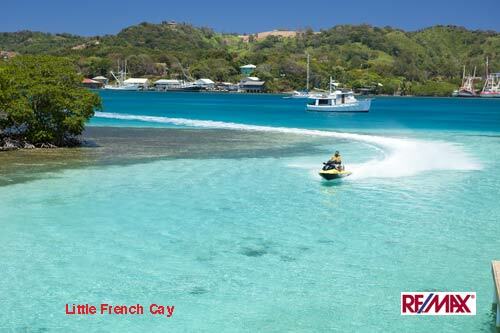 If you want to Sell, RE/MAX Bay Islands would like to be your company.